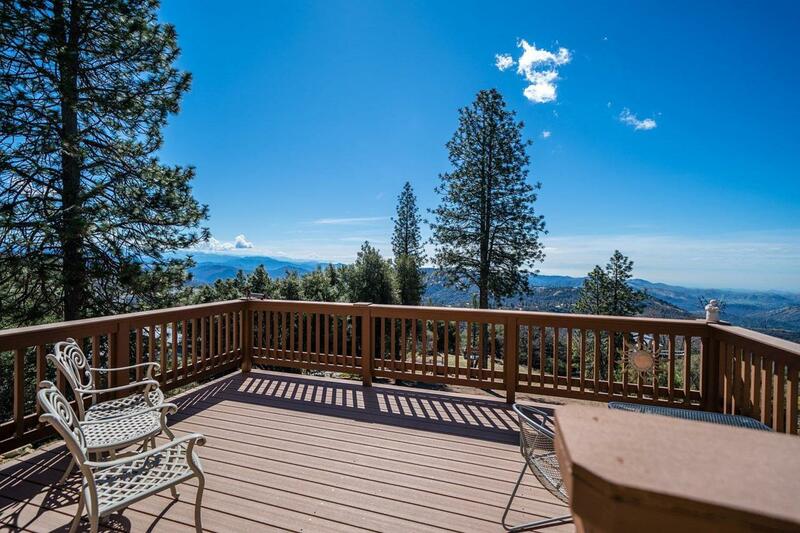 Mountain/City Lights View~Glorious Sunsets~3 Acres~3/2 Single Level plus In-Law Quarters. 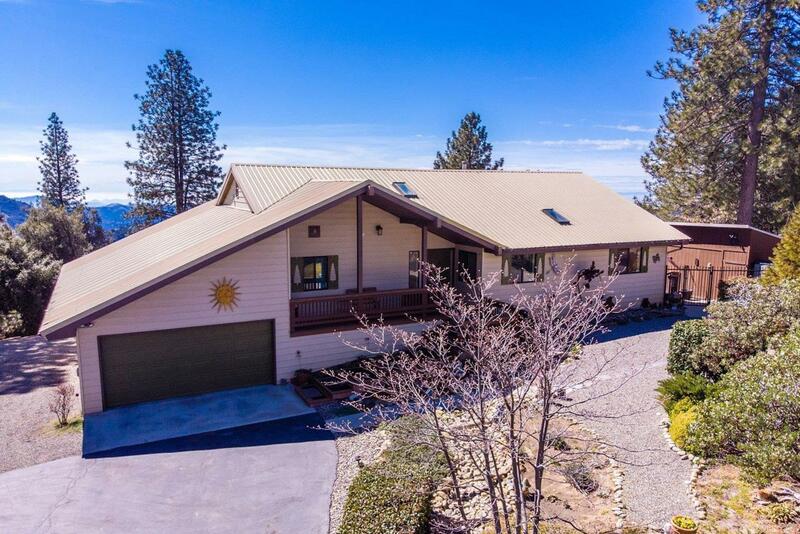 Beautiful home w/low-maintenance fire resistant landscaping in great location only 40 min to Clovis and 15 min to Shaver Lake. 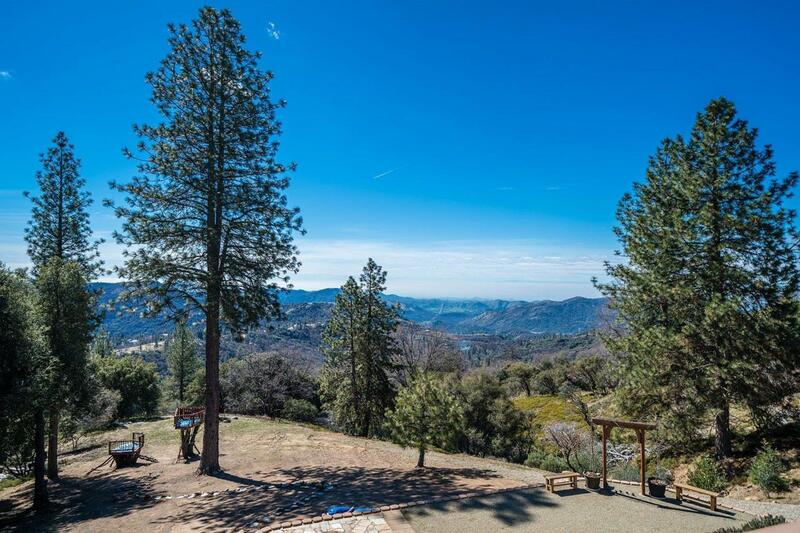 Breathtaking unobstructed 180-view extending from Mt Whitney to the Valley and out to the coast range can be seen from almost every room. Main home has open floorplan w/large windows, great room w/vaulted ceiling & lovely woodstove, updated kitchen with granite counters & large island, oversize utility room & pantry, and master suite with awesome view from jetted spa tub. The 850 sf in-law unit has its own private entrance, bath, woodstove & private patio. 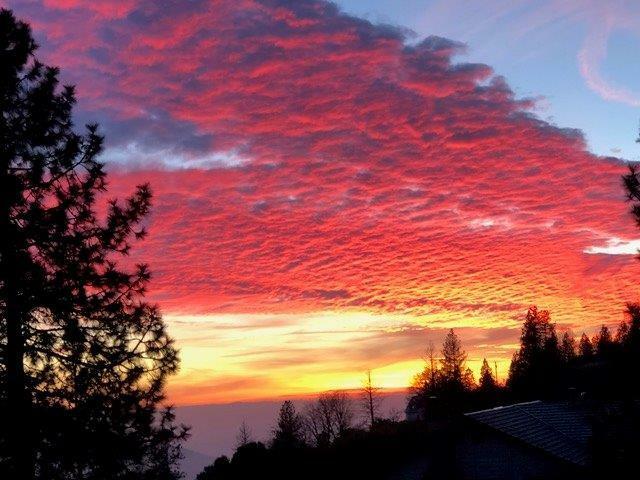 Other features include easy year-round level access, double attached garage, covered 20'X20' metal carport, workshop, two south-facing composite decks with amazing views, fenced backyard, kids' play area, 2 tree forts, fire pit and backup generator. Perfect home for full-time living only 1/2 mile from top of the 4-lane.